Faced with a blank sheet of paper, how does one begin when an invitation is received to compile an anthology of music? Compiling the two recent volumes, Oxford Book of Christmas Organ Music for Manuals and Oxford Book of Lent and Easter Organ Music for Manuals, has been a rewarding journey of musical discovery, which I decided had to begin at Perry Barr in north east Birmingham, on the campus of the University of Central England, at the library of the Royal College of Organists. My days there amongst the moveable stacks proved invaluable, hopping up and down steps and sifting through the boxes of this unique and sizeable resource. I became completely absorbed as my eyes were opened to some previously unknown repertoire that would be suitable for inclusion, enabling me to disregard the temperature of an air-conditioned archive store, pleasantly cool in summer but freezing in winter. I went through the entire collection three times, not only searching for suitable music for organists looking to extend their seasonal repertoire, but also set on finding attractive pieces that would lie within the grasp of pianists who have been coerced into the role of organist. Some original compositions were straightforward candidates for inclusion, but most music required arrangement—in some cases adapting a composition for manuals and pedals so that it could be playable by hands alone. Maintaining the artistic integrity of the composer was a fundamental principle here, which was also applied when making transcriptions from seasonal oratorios. Robert Gower. Photo used with permission. For the Christmas book, J. S. Bach, the organ, and December are inseparable (come back BBC Radio 3’s 2005 “Bach Christmas”!) and it seemed entirely right to open the anthology with the aria “Prepare thyself, Zion” from Bach’s Christmas Oratorio. His lesser-known Prelude (originally for trumpet and organ) on the Advent chorale “Wachet auf” provides an attractive alternative to its more famous relative. Pieces from Berlioz and Liszt were similar must-haves, with some strong writing from the less familiar names of Balbastre, Greiss, Hänlein, Kneller, and Wolfrum. Those like myself who take pleasure from English music, can enjoy music based on familiar Christmas hymns by two 20th-century cathedral musicians, Clement Charlton Palmer (Canterbury) and Ambrose Porter (Lichfield). Commissioning new work is an exciting privilege: how good it is to introduce an arrangement of “Jingle Bells” by the international jazz pianist Alexander Hawkins (who also holds a PhD in Law); a vibrant, dancing Toccata on “Good King Wenceslas” by Matthew Owens of Wells Cathedral; a reflective atmospheric reflection on “Forest Green” (O little town of Bethlehem) by rising star Owain Park; together with Malcolm Riley’s characteristically witty, ingenious, and playful “I saw three ships in Sussex”, its humour matched by the tinsel glitter of Germain Rivière’s “Ding dong! Merrily on high” variations. Working through the RCO’s catalogue from A to Z, I was amazed that one significant personal discovery should appear in the very last box with the music of Dutch organist-composer Jan Zwart. Persistence pays! 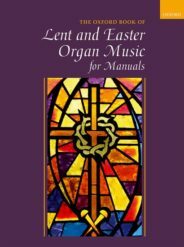 Bach’s Chorale Prelude on “Erbarm dich mein, o Herre Gott” from Oxford Book of Lent and Easter Organ Music for Manuals. 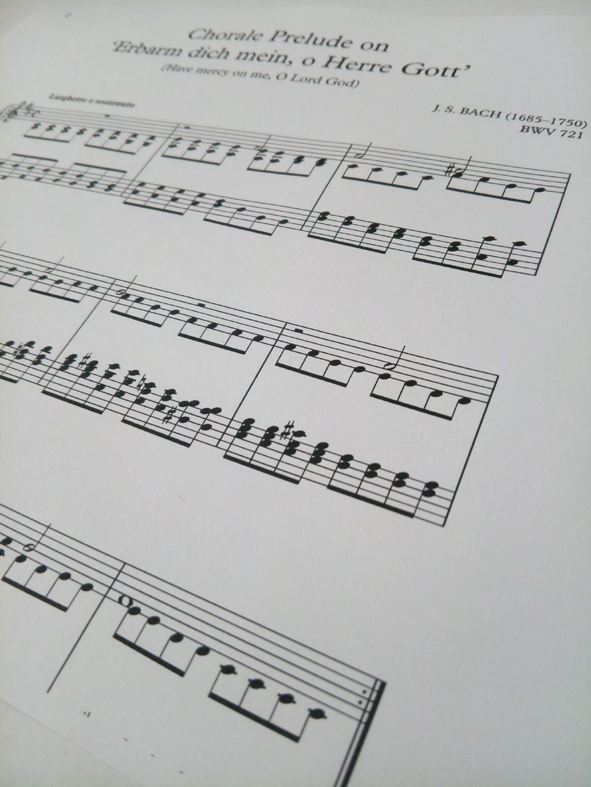 Bach opens the Lent section of the second book, but pieces on Lutheran chorales are balanced by music based on well-known tunes to hymns such as “Forty days and forty nights”, and “Be Thou my guardian and my guide”. An ebullient Palm Sunday flourish by Chris Tambling (whose sadly premature death in 2015 was such a loss for church music) and a moving reflection on S. S. Wesley’s “Hereford” by centenarian and doyen of the organ world Francis Jackson appear in print for the first time, whilst appetites will surely be whetted on playing, for example, the music of Robert Groves, Adolphe Marty, Alec Rowley, and Paul Vidal. Featured image credit: church organ by nickelbabe. CC0 public domain via Pixabay. Robert Gower has had a lifelong involvement with church and organ music in a career mostly spent teaching in boarding schools with chapel traditions. 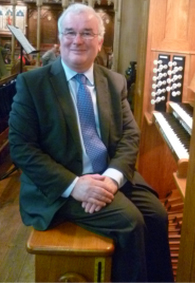 He is currently Organist of Nottingham Cathedral, combining these duties with work as an examiner and as Chairman of the Gerald Finzi charitable trust. His work with OUP includes two albums of Easy Graded Organ Music, anthologies of Ceremonial, Christmas, and Lent and Easter repertoire, and composer albums of music by Finzi and Walton.